What would whole health look like for YOU?? We're constantly told what we should eat, how much we should eat, when it's appropriate to eat, and how much and how hard we should work out in order to achieve health, wellness, and happiness. But what if society's standards don't feel great in your body (or mind)? What if your needs are different? What would it be like for you to take care of YOUR body in a way that feels good both physically and emotionally? I'd love to equip you with the tools to figure that out! Struggle with the size of your body? Feel out of control around food? Feel like you lack willpower? 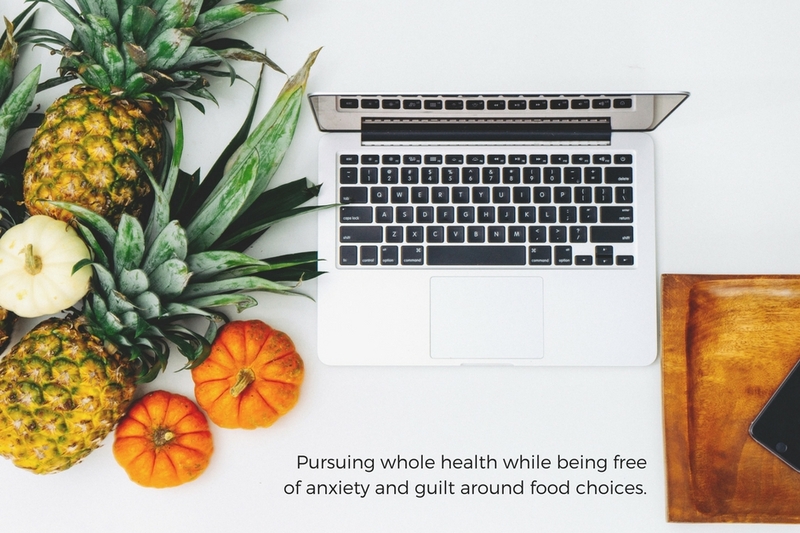 How about feeling anxious around food? Does it dominate most of your thoughts? Do your health behaviors cause more stress than they reduce? Do you struggle with symptoms such as cold feet and hands, mood swings, missed periods, stomach pains, lack of energy? "Before I met Ashley, I had suffered from my eating disorder for about 6 years. It was a dark and lonely time that I didn’t know my way out of. I found Ashley on social media when I first started thinking about treatment in early 2016, and I was immediately inspired by her posts. She spoke of food freedom and a kind of authentic happiness I had always desired. I decided to reach out to her initially to ask only a few questions about treatment, but she turned out to be the most kind and approachable person I’ve ever crossed paths with! I was so touched when she offered to personally help me on my journey to recovery – I could tell she genuinely cared about me and wanted to help. Who knows if/when I would have ever made the leap into treatment without having met Ashley.